Given that DreamSpinner Press is into the publication process for the BJ Vinson Series (the first book is due out somewhere around September with the other two to follow at four-month intervals), I thought I’d give you something from the fourth book with the working title of THE LOVELY PINES. 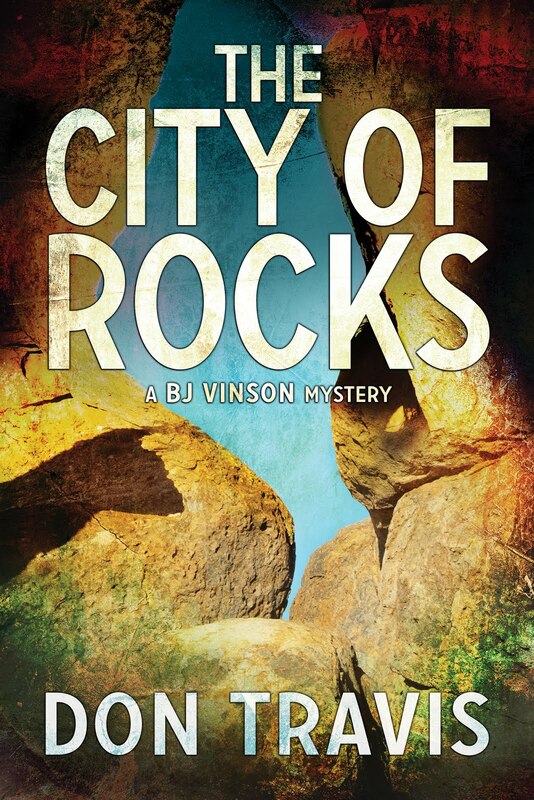 This novel, presently a work in process, takes place in 2009 and is set in and around the Albuquerque area of New Mexico. 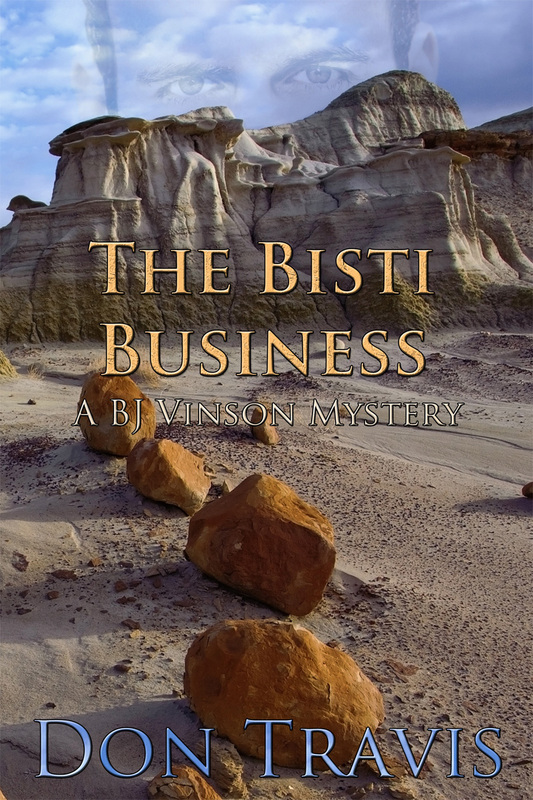 The story begins as our intrepid sleuth, BJ Vinson, receives a visit from an individual he had run across but never met during the Bisti Business. Ariel Gonda, a Swiss national, has left the Alfano Winery operation in Napa Valley and purchased the Lovely Pines Winery in the tiny, fictitious settlement of Valle Plácido a little north and east of Albuquerque. He has come to see BJ because of a break-in at his winery. I chose this scene from the beginning of Chapter 2 because it shows some of the history of the area… a subject that is terribly interesting to me. I drove to Valle Plácido directly from the house the next morning, saving a trip downtown and then a run back north. In a bucolic mood, I took the old Highway 85 to Bernalillo about fifteen miles north of Albuquerque. Bernalillo was an interesting town, at least to history buffs like me. The area had been more or less continually inhabited for probably close to 1,000 years, first as an indigenous Anasazi town, and later by the Spaniards when they arrived in the Sixteenth Century to claim it as a trading center and military outpost. The settlers who founded Alburquerque—somewhere along the way, the city lost an “R” from its name—had begun their historic journey from here. In one of those odd coincidences, Albuquerque is the governmental seat of Bernalillo County, while Bernalillo is the seat of Sandoval County. Go figure. Today, some 7,000 or so souls reside there, about seventy percent of whom trace their roots back to Hispanic origins. My father was fond of telling me that in the old days every bar in the town—and there were plenty of them—was adjacent to a service station because it was illegal to sell liquor on Sundays back then. Of course, the filling stations remained open, and a thirsty motorist was usually able to get something besides oil and gas. The present day town fathers like to say Bernalillo is the gateway to the Jemez Mountain Range to the west and the Sandias to the east. At the north end of town, I hung a right on Highway 550 and crossed over I-25, climbing steadily toward the mountains. Before long, I passed through another former Anasazi settlement renamed Placitas, which meant Little Town. With its large adobe homes tucked into folds in the foothills or hanging on the slopes, Placitas had managed to bring some of the famed Santa Fe style south. Shortly after leaving the town limits, I entered an even smaller settlement about whose history I had no knowledge—Valle Plácido. All I knew of the place was that people had been growing grapes and making wine here for centuries. New Mexico was one of the earliest wine making centers in North America. As instructed by Ariel Gonda, I turned north on a well-graded gravel road and saw the Winery about 500 yards ahead of me. My first impression was of a French chateau plopped down in the middle of New Mexico. As I grew nearer, the image was reinforced. I passed over a cattle guard behind an impressive black, wrought iron gate anchored to a solid four-foot stone wall stretching off in both directions. I assumed it enclosed the entire place, or at least the ten acres of the winery. The wall would probably have stopped a tank but provided little protection from stealthy intruders afoot. The vineyard sat off to the east. Up close, the stately house did not seem so foreboding, less of a Gothic manor harboring psychopaths and star-crossed lovers. House, of course, was a misnomer. It truly was a chateau, even though it was small by European standards. I judged it to be three floors of around 1,500 square feet each. The gray stone from which it was constructed wasn’t native rock. The copper Mansard roof had a cloudy, green patina. Doors, windows, and the roofline beneath the gables were all framed in brown brick. It is amazing how often we drive down familiar roads and streets giving little or no thought to what has happened on those roads before our passage. Not every site must have seen a famous battle or sparked a revolution to have significance. The fact that the small New Mexico town of Bernalillo was founded and abandoned a thousand years ago by an indigenous people, reclaimed by Spanish settlers, and then come under the authority of Anglo conquerors is meaningful. Many New Mexicans, both native and adopted, have little appreciation of the fact that our state is one of the oldest wine-producing areas in what is now the United States. Fascinating. I’ll make a deal with you. You keep reading, and I’ll keep writing. Feel free to contact me at dontravis21@gmail.com. I was often unable to find anything of interest on television during our recent holiday season, so I found myself watching a number of old movies, including three Thin Man flicks on the Turner Classic Movie Channel. I remembered them as marvels of sophisticated comedy based on Dashiell Hammett’s novel. I had always liked William Powell, and Myrna Loy was “Woman” for me when I was growing up. To my amazement, I only managed to watch one complete film and about ten minutes of the other two before realizing that either someone had futzed around with these classics or else my idea of sophistication… not to mention comedy… had changed. Chasing around after an alcoholic drink no longer filled the bill. And the mystery seemed to solve itself when no one was watching… including William Powell. However, the activity called up a memory from July 2004 when I was lying in the Albuquerque VA hospital recovering from the prior day’s exploratory Laparotomy, which is a fancy way of saying the surgeon ripped me open from stem to stern and yanked out 20 cms of my jujunium. The only thing I understood about the last part of that sentence was “20.” That’s simple enough, but what the hell is a jujunium? I never knew I had one, much less 20 cms of it. Was there anything left? Would they have to install some kind of pump to handle all my juju juice? But back to my suffering. Pain-wracked and lethargic, I huddled on my bed imprisoned by raised and barred sides. A myriad of needles pierced my right arm. One was for a saline drip, another was for something that escapes me, a third held a big gadget that let them take blood samples without sticking a big hypodermic needle in me every time some vampire got hungry and needed a sip of blood. The fourth one, in my opinion, was simply to piss me off. Anyway, as I watched this humungous blob of air lazily make its way down the line, my initial reaction was calm curiosity. That didn’t last long. I was watching Death approach. I didn't have time for calm. I sat up… which diverted me momentarily from my panic… and fumbled for the call button. Couldn’t find it. Should I yell and disturb the poor sap in the other bed? Jerk the needle out of my arm? Oh, crap no! That would hurt. So I calmed down and took matters into my own hands. I very deliberately flicked the hose to break up the bubble. Hope I didn’t horrify you with that absolutely true spine-tingling tale of death and danger. You probably have some of your own to relate. 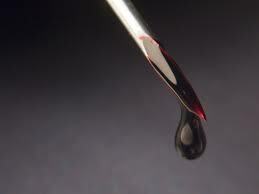 But I seriously doubt yours were as perilous as mine. Keep on reading. Keep on writing. And keep on submitting. If you feel like it, drop me a line at dontravis21@gmail.com. 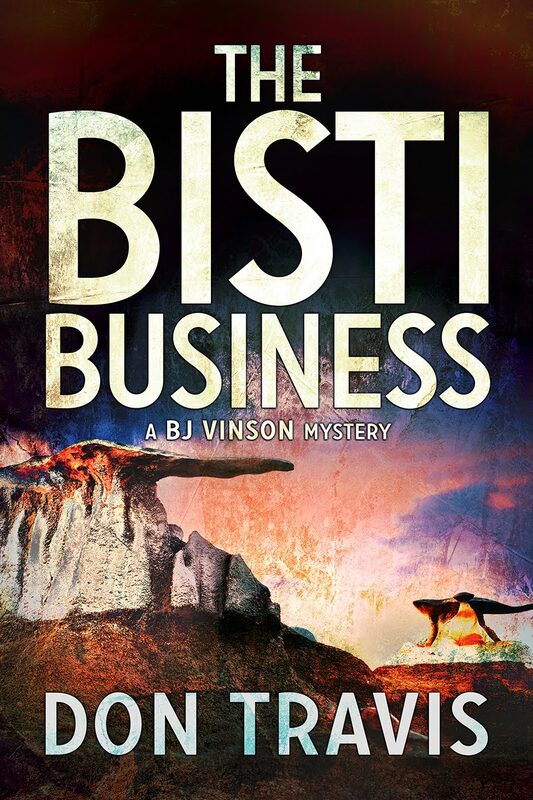 As regular readers of this blog know, DSP Publications acquired the rights to the BJ Vinson mystery series during last year’s holiday season. They have already begun the process of getting the basics out of the way (learning about the author, general thrust of the series, type of series -- these are associated, stand-alone books featuring continuing players which can be read in any order -- and that sort of information).The beginning of the editorial procedure on the first book is set for May 10. I understand publication follows the editorial process by around four months. So hopefully, we’ll see the new Zozobra Incident somewhere around September or October of this year. Except, it probably won’t be The Zozobra Incident by then. DSP has already alerted me they may change the titles of the novels. 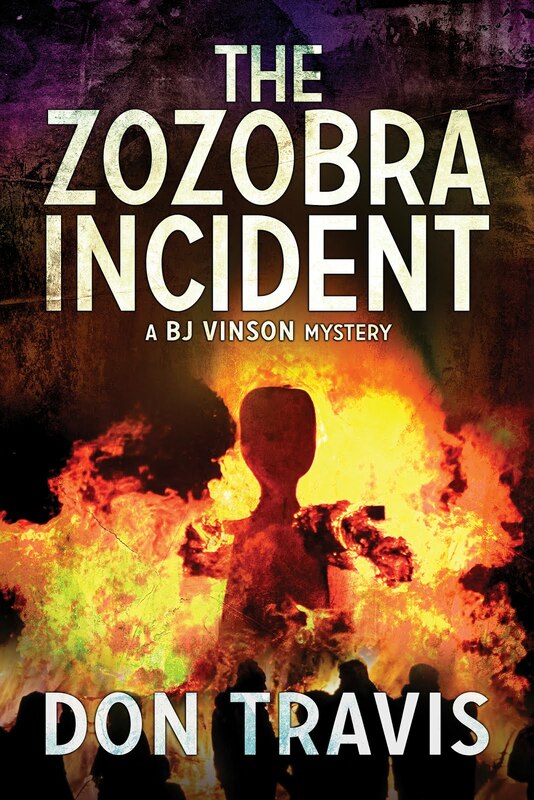 At any rate, I chose a scene from Chapter 12 of The Zozobra Incident for this week’s blog post. BJ is uncomfortable with his recent suspicions about the new man in his life, Paul Barton. In the following scene, a telephone conversation with Gene Enriquez, his former APD partner, he’s relieved to learn that a witness has not been able to identify a photo of Paul’s as a suspect in the case. When he asks for the photo back, BJ discovers all may not be well, after all. “Of course not!” Then I screwed up my standard of ethics by asking why he was on record. “Which gang?” I asked with my heart in my throat. I hung up and processed what I had learned. The system snares a lot of young men for one thing or the other, and Paul’s charges hadn’t been serious. A wake up call was probably what he needed at the time. The other thing bothered me, but maybe it shouldn’t. Every kid in Albuquerque was exposed to a gang like the Saints sooner or later. And in Paul’s part of the South Valley, half the people were related by blood or marriage. The fact Gene’s contact was vague about the details was both good and bad: Bad because whatever brought Paul to his attention was enough for him to remember it years later. Good because it meant Paul hadn’t been seriously involved with the Saints or any other gang. Hope you enjoyed the glimpse into Zozobra. As always, let me close by urging you to keep on reading and by inviting you to contact me.